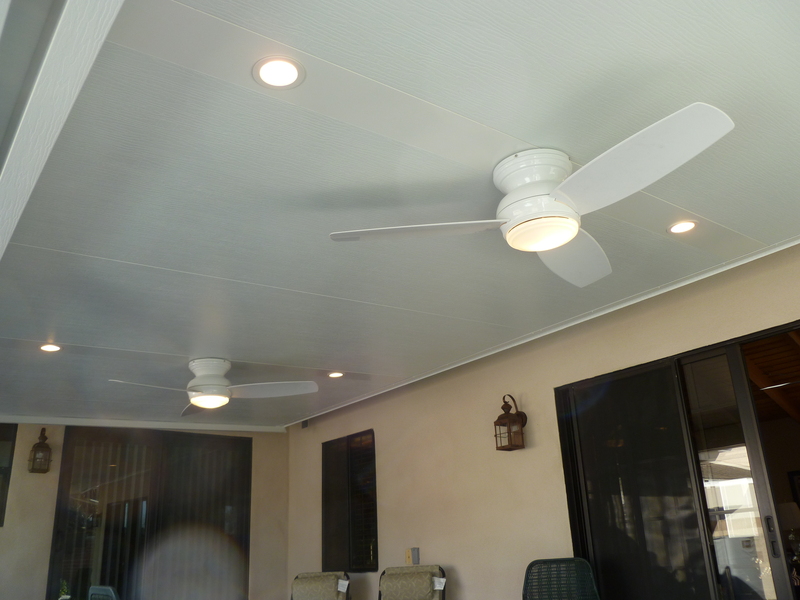 An update from our friends at TheLightStrip, LLC….not just recessed lighting now for your patio covers and sunrooms, but they have reengineered the units to include fans! One fan, any style, up to 30 pounds, can be used. We have our customers purchase the fan and have it at their house in the box and our licensed electricians mount it in the fan box that comes in the new TheLightStrip unit. Here is the fan spacing chart that shows their standard light spacing, alongside that used for if you choose the fan option when you purchase TheLightStrip with your patio cover or enclosure…just click on the link. TheLightStrip-standard-spacing Many dealers offer custom spacing on their sales of TheLightStrip. We do here, of course, at Rooms N’ Covers. If you were going to have a fan mounted to the cover (or ceiling of your sunroom/patio enclosure) it is now easier than ever…just have it incorporated into your lighting solution! The patented TheLightStrip units will fit into any size insulated or non-insulated patio cover/sunroom. Their engineers worked with the manufactures of the roof products to ensure that if you could build the structure, you could put a version of TheLightStrip in it! Take a look at some of the units installed…very clean and elegant. .
We anticipate installing quite a few of these this summer! Check them out at www.thelightstrip.com, and you can see more photos in our galleries here at www.roomsncovers.com.